This campaign is now closed, but our HUGE thanks to everyone who donated, you helped us to raise £3270.00 towards keeping the dogs and cats fed this winter. Every penny will be spent looking after the street animals, and we are so grateful for the generosity of our supporters. Thank You!! If you still want to donate to the work KAPSA do for the street animals, please visit our Donation Page here on the website. Every winter, KAPSA help the street animals by funding a winter feeding program. Volunteers across the town take responsibility for feeding the local street animals daily and keeping an eye on their health and well being. We distribute the food weekly to our volunteers and they ensure as many animals as possible on ‘their patch’ benefit. However, this amount of food is costly and represents a significant percentage of our annual budget. Everything we do is funded by donations, so following the huge success of this appeal over the last couple of years, we are asking for your help again. 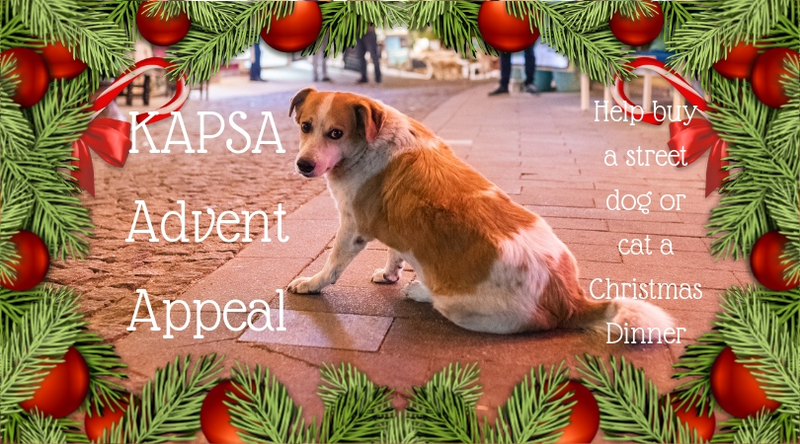 Every day of Advent, a new Christmas themed photo of our street dogs and cats will be posted in our facebook group, so if you are not a member, please do join us there. We are asking you to donate £5 for a ‘Christmas Dinner’ for a dog or cat, to help see each of them through the winter months. Every penny goes to helping the animals, so please help us to help them this Christmas. You can donate as many dinners as you wish by simply filling in the form below, choosing an amount or adding your own, and clicking donate. Also, if you are UK Tax Payer, it would help us even more if you could choose the Gift Aid option. Thank you, from everyone at KAPSA and from every dog and cat who will not go hungry this winter. Well done KAPSA, you are all amazing. I smile, laugh and cry at your posts. Thank you to all the wonderful people who take time every day to make sure the street animals of Kalkan and the surrounding area are safe, healthy and fed. Keep up the good work all you good people of KAPSA. Wishing you all a happy Christmas and the street animals full stomachs! To all the lovely Kalkan animals we adopted during our visits. A worthwhile cause. Love seeing the animals each year when I visit. God bless you for looking after them all. I have a holiday home in kisla over the years we have encountered many gorgeous dogs in Kalkan. Although I cannot have a dog full time in hope my donation will help the Kapsa cause. Just love the Kalkan street dogs & KAPSA do a wonderful job. Done! Happy Christmas KAPSA & the Kalkan street animals. It’s so lovely to know that the street dogs are taken care of all year round. You do fantastic work. One of the many many things we love about kalkan!! For the fabulous work you do – thank you for caring. You all do a wonderful job and I hope this will go a little way to feeding the lovely dogs and cats of Kalkan. Look forward to seeing them in 2019. Those 3 cats deserve some turkey so here’s 3 x £5=15 for them. Well done all you volunteers, thank you and Merry Christmas. I’m in awe of the wonderful work KAPSA does. Greatly admire what you’re doing to take care of the Kalkan animals. You do great work in a great place!! For Rosa- still in Kalkan but coming home soon. Ralph who came to live with us from Kalkan is one of the lucky dogs – this will help the ones not so lucky! So happy the animals have you to look out for them. I donated to the dogs, now I’m donating to the cats. Thanks again Kapsa! I only wish I could donate more! We have a house in Kalkan and whenever we visit we are amazed at how well KAPSA does looking after stray animals. You guys rock! My cousins visit Kalkan twice a year and always come back with how great KAPSA is. I visit Kalkan twice a year and have been doing so for 20 years. I brought out flee powders in June. Thank you to everyone at Kapsa for you hard work. The street animals – especially the cats – are one of the things that makes Kalkan so special. Where else can you have a drink outside a bar, with a superb view in front of you, a pretty little white cat curled up contentedly on one side, and a big, friendly bruiser of a tom asking for more Dreamies at your feet? Bliss! Many thanks for looking after the street animals as well as you do. It is always wonderful to visit Kalkan and see all the animals when on holiday. My favourite advent calendar celebrating all the wonderful work you do with these lovely dogs and cats. Looking forward to our annual holiday in Kalkan when, hopefully we will get more cat visitors to our villa. Keep up the good work KAPSA! Keep up all your hard work. Donating on behalf of Peter Rabbit – one of the lucky Kalkan Street animals. Fantastic job KAPSA keep up the good work. Here are another 4 Dinners donated by work colleagues. After seeing latest photo of Cesur how could I resist. This is a fantastic charity! Been to Kalkan several times always been welcomed by the street dogs ,love it! I was waiting to see Cesur but am pleased to donate for several of the animals. Thank you for all your work – and see you in June! We love Kalkan its people and all the freindly animals, merry Christmas to you all! From Duncan and Trish. Merry Christmas to you all and the lovely dogs of kalkan. You do an amazing job. Kaspa does such great work. I can feed dogs and cats when I am on holiday but even more important in winter when it is cold and food is scarce for them and they get desperate. Thank you for all the wonderful work you do for the dogs and cats of Kalkan. Out on Dec 27th and looking forward to seeing our four legged friends . 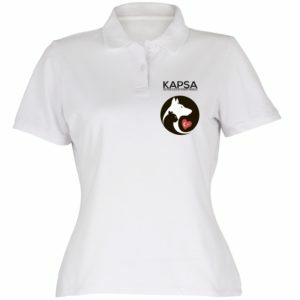 Thank you at kappa for all your wonderful work for the street animals. We fell in love with the dogs when we visited in the summer. Thank you for all that you do to look after them. Merry Christmas! Happy Christmas to all the lovely Kalkan dogs and cats. From Sarah and I with thanks to all the volunteers. Rather late donation , I’m afraid- still, can we call it New Year dinner? Great job, keep up the wonderful work.